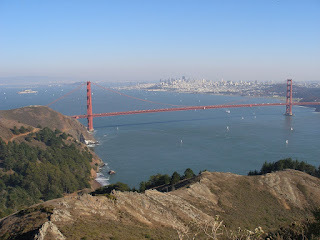 The Marin Headlands, part of the Golden Gate National Recreation Area, provides spectacular views of the ocean, the Golden Gate Bridge, and San Francisco, as well as the surrounding landscape. During the day, there are paths and roads to walk, climb, bike, and drive. 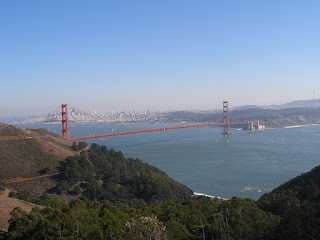 Besides the breathtaking views, the park also contains an active lighthouse (Point Bonita Lighthouse), the NIKE Missile Site, historic forts, and a visitor center on the land side (as opposed to the ocean side) located in the historic Fort Barry Chapel. 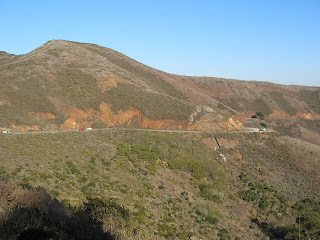 You can drive a short way up the hillside or all around the headlands...click this link for a map of the area (National Park Service Marin Headlands Map). If you plan to get out of the car and do any kind of waking or climbing to take advantage of the views, make sure you have decent walking shoes on and that you are prepared to get dirty. There is a lot of red tinged earth and if it is dry, it is VERY dusty. If it is wet, it will be muddy as most of the walking areas are not paved. 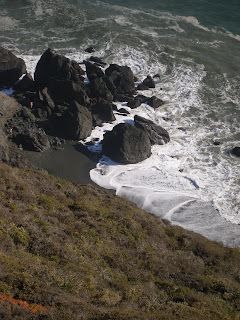 If you are ambitious, you can walk down the steep hillside to reach the beach areas; there is also a more accessible dog friendly beach further out the headlands. 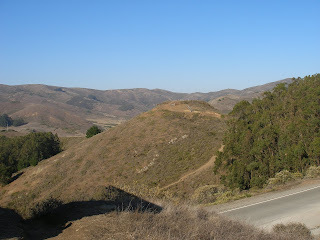 Be careful in the area when on the walking trails as there could be poison oak or other natural hazards, including coyotes or snakes. 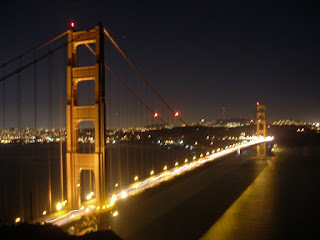 At night there are great views of the Golden Gate Bridge and the brightly lit city skyline. If you go to the lookout spots at night, make sure you bring a flashlight as there are no lights in these places and the pathways are uneven and potentially treacherous. The view, however, is definitely worth it.